I know we are all busy people, and seldom interested in the lives of others, so I will try to be brief. 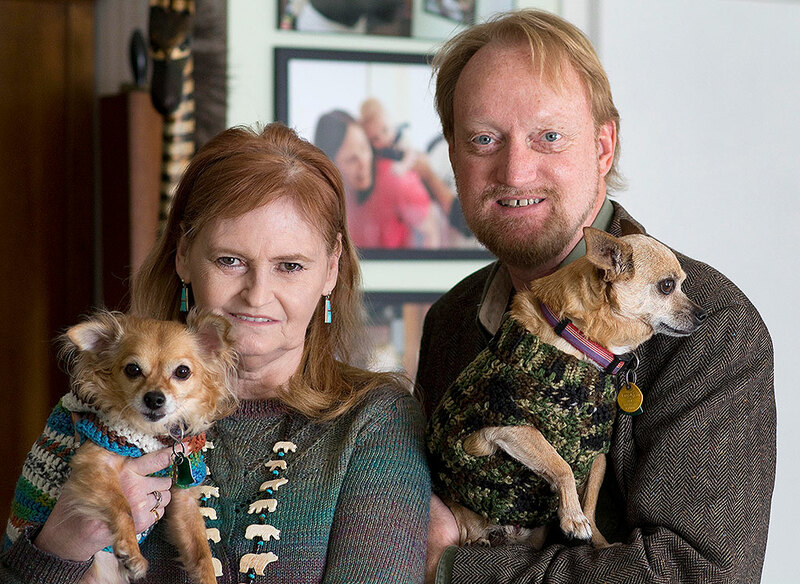 Abby and I pose with our Chihuahuas, Sierra and Max in January 2016, during a portrait session by Robert Stinson. January: We received visits from both Robert Stinson and Scott Andersen, friends and photographers I have known since college. 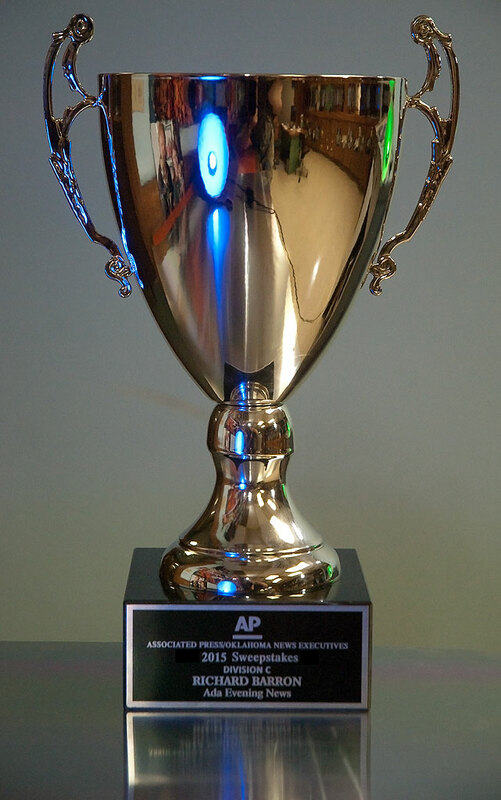 It is always a privilege to be honored for my work, like this AP/ONE sweepstakes trophy I received in June. January: I used credit card rewards points to purchase a new AF-S Nikkor 85mm f/1.8G. February: Our newspaper changed editors, resulting in an exponential improvement in our work environment. May: I was awarded another Associated Press/Oklahoma News Executives sweepstakes trophy for photography. May: Abby and I used social media to return a lost dog to his owner. May: I was able to remain on the scene well inside police lines during a standoff and shootout near our home. June: Summer became the Summer of Antennas as I completely reorganized the garage and installed new scanner and amateur radio antennas there and inside our home office. June: Abby and I took a New Mexico vacation, The Enchanted Circle. 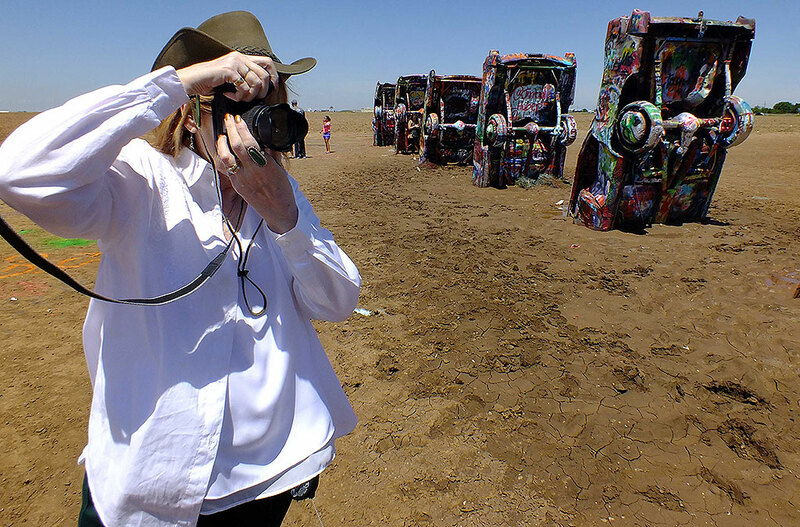 Abby makes pictures at Amarillo’s famous Cadillac Ranch on our June vacation. 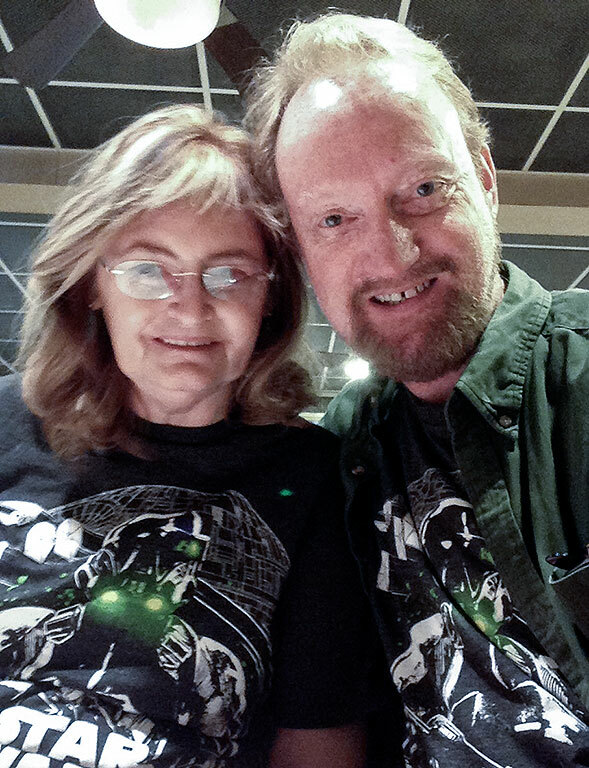 Abby and I pose for a rare “selfie” at Baltimore’s famous Bel-Loc Diner in December. July: Abby bought me a new power washer, which I use extensively to clean the house and wash the cars. July: Abby’s sister Gail had shingles involving her eye, requiring emergency surgery. August: We enjoyed another visit from photographer Robert Stinson. September: Abby and I finally constructed (with a paid carpenter) and painted a new front porch and deck, then rebuilt and painted our back deck. Fall then became known as The Autumn of Construction. October: Abby and I celebrated our 12th anniversary with a Utah adventure, The Endless Sky. 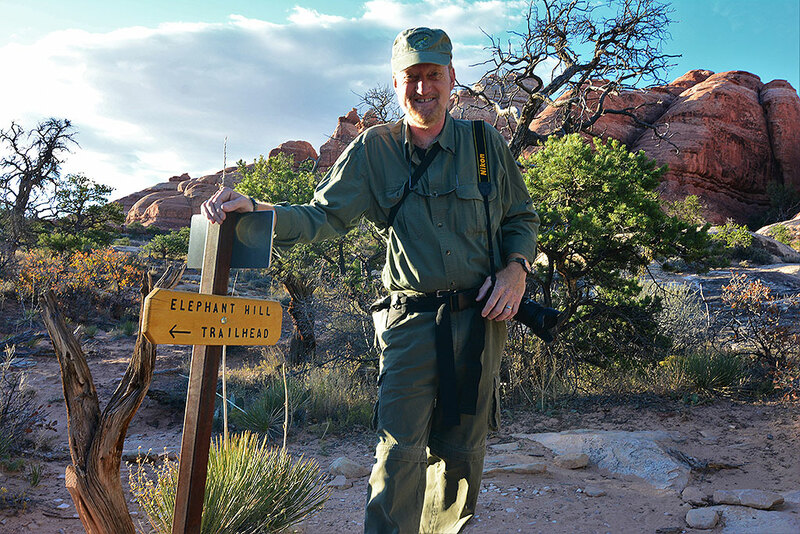 Your host poses at a trail junction deep inside Canyonlands National Park, Utah, in October. December: Abby and I traveled to Baltimore to spend Christmas with Abby’s daughter Chele, her husband Tom, and our grandson Paul. 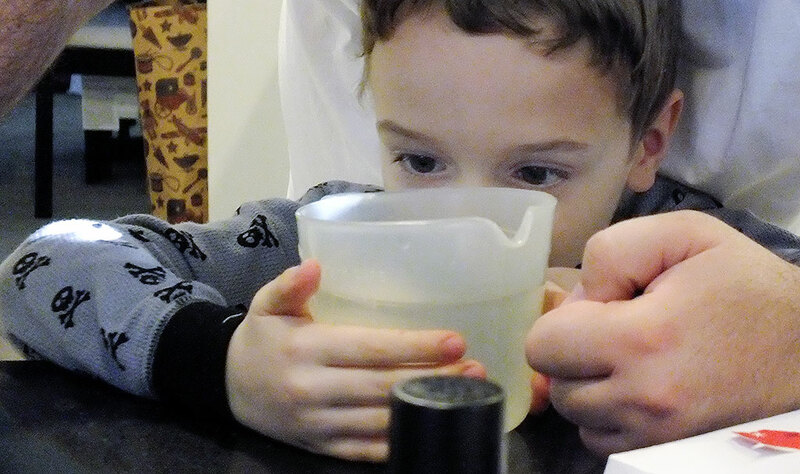 Our grandson, Paul, watches to see if his dinosaur eggs have hatched on Christmas Eve. You are hereby awarded another year. Use it wisely, my friend. Great work over the course of an interesting year.